I think everyone likes to be able to get more for their money. Superdrug and Boots always have 3 for 2 or buy one get one half off promotions which I love! Boots had 3 for 2 on Loreal makeup and I was desperate to try the new reformulated True Match foundation. I also wanted to restock on the Lumi Magique primer and then I also got the Telescopic mascara for free! Rimmel had buy one get one half off! 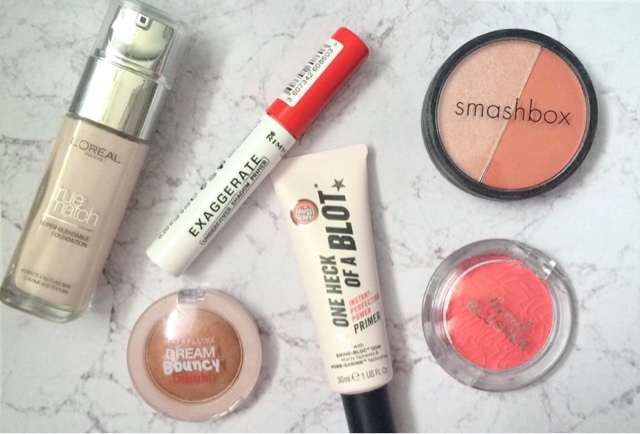 I picked up another Wake Me Up concealer and got the Exaggerate primer for £2.49! I'm not sure if I like the exaggerate primer yet, but I will let you know either way. I also recently discovered the website Save On Makeup! This site is AMAZING. You can get lots of discounted designer and drugstore makeup that has all been unused. The majority of their products are full size however they do have some sample products! I got the Smashbox blush and highlight duo in Super/model! I recently featured this in my September Faves! 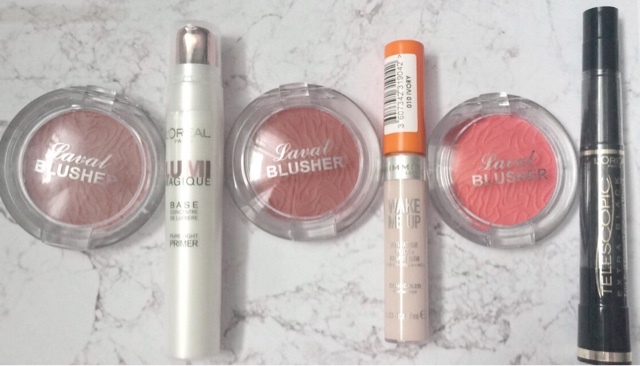 I also got the Bourjois lip liner, three laval blushers and a Maybeline Dream Bouncy blush which you can only purchase in the states so it is great this website offers this. I also picked up the Maybeline fit me powder. I think this website is so great for picking up extra bits of makeup especially for the discounted price. I need to check out the website, seems great - I also love the look of that Smashbox blush and highlight! I have to check out that site! Who doesn't want to save money on makeup?? Such a great post, never heard of that website before, must check it out!